A week after we got wind that some Ford dealer sales agents were rather enterprising enough to ask a reservation fee for the upcoming, yet-to-be-finalized Ranger Raptor, Ford Philippines has done the right thing and decided to officially open the order books. Starting today, customers can now officially secure their position in line for the first-ever global Ford Performance model. Ford Philippines has given their go-signal that ensures that those willing to plop down a reservation fee will be among the first in the country to own the ultimate off-road performance truck. 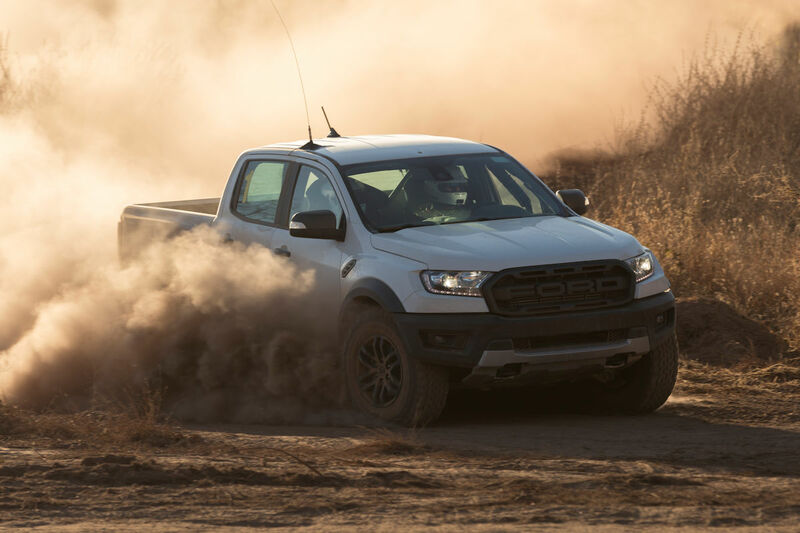 “The Ranger Raptor is bringing to life our unparalleled truck expertise at Ford. All over the world, it continues to generate a lot of interest, and in the Philippines, we’re equally excited to be working with our Ford dealers to begin accepting reservations,” says Bert Lessard, managing director, Ford Philippines. Ford Philippines continues to caution people though that they have yet to finalize the pricing for the first-ever Ranger Raptor. However, they did confirm that it is set for a launch date within the third quarter of the year. “The excitement towards the Ranger Raptor is definitely gaining ground, so we would like to invite all enthusiasts to visit a Ford dealership to make an advanced booking. After all, there are no better pick-up truck specialists than our Ford dealers who will take time to talk about trucks to interested customers,” adds Lessard. Ford PH shouldn't be doing this without the official SRP yet. They're playing hard to get as with regards to finalizing the SRP or maybe they're just trying to gauge the market demand. I can foresee another unethical business style similar to way back 2013 when Ford released the Ranger Wildtrak T6, we shall see.